Don’t Forget To Download Your Feeds From Google! 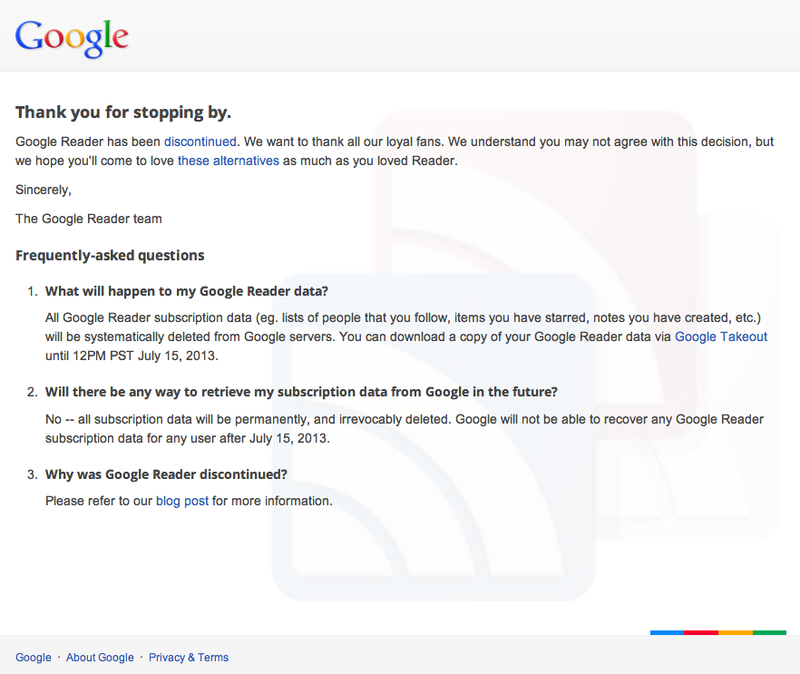 Export your Google Reader data before Monday! The download will be a zip archive containing a bunch of JSON files and one XML file. The JSON files have your notes, likes, starred, shared and follower data. The XML file – subscriptions.xml – is the important one. 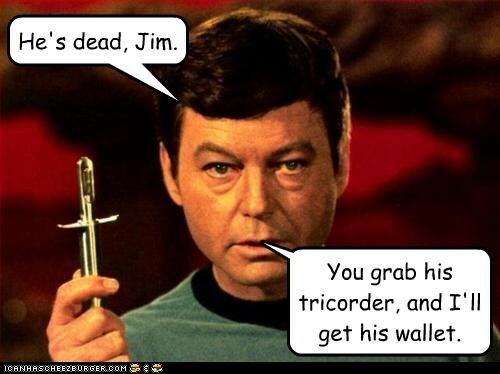 It has a list of all of your feeds, and what folders they are in. (It’s actually in OPML format, which is based on XML.) Most feed reading services and apps will know how to import this file, and recreate your subscriptions. Some will be able to understand your folder structure, but not all. Sadly, importing just subscriptions.xml doesn’t keep your read/unread state, and most services also don’t know how import the JSON files at all. There are only two web-based services that I’ve tried so far that actually do keep your read/unread states: Feedly, and Newsblur. Of the two, I prefer Newsblur’s UI over Feedly’s since it’s more like what I’m used to, but lots of people seem to like Feedly’s slicker, less cluttered UI better. Both Feedly and Newsblur were able to import from Google directly, as can many others, but these are the only two I know of that keep your read/unread state. To do this, you connect the app to your Google Account, and they go out to Google to get your data. Both services can also import your subscriptions.xml, connecting to your Google account is the better option if you’re doing your import before Reader is shut off. This will capture read/unread state (and in Newsblur’s case your shared stories) instead of just your subscriptions. Edit: I just tried the new AOL Reader, and while it has a decent mobile web UI (gah), and did import my feeds from Google, it did not preserve my read/unread state. There are a slew of other services out there too, spanning a wide range of feature-completeness, API support, iPhone or other mobile apps, and social/sharing functionality. Both services can import your feed list either directly from Google or using your subscriptions.xml from Google Takeout, but neither will preserve your read/unread articles or shared/starred stories. Last month, I started working at Black Pixel, which just released NetNewsWire 4 in open beta. NetNewsWire is a desktop RSS reader for Mac, which was originally created by my friend and former colleague, Brent Simmons. Previous versions of the app supported Google Reader syncing, but Reader sync was removed from this version since Reader itself is shutting down. To be clear: I’m not working on NetNewsWire at Black Pixel, so I don’t have intimate knowledge of the roadmap, but syncing will come. There is some public information on the beta release announcement here.